The period between 1979-1983 was one of the most glorious and productive periods in British music. Sparked by the Synth Britannia revolution, acts such as THE HUMAN LEAGUE, OMD, DEPECHE MODE and SOFT CELL emerged. 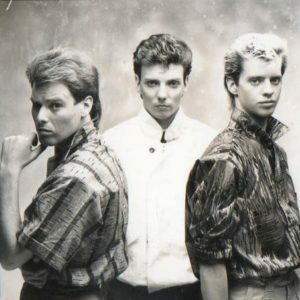 Around the same time came more conventional bands with a disco oriented flavour like DURAN DURAN and SPANDAU BALLET, who embraced electronic elements to enhance their sound. With its colour pages and printed song lyrics, ‘Smash Hits’ became the nation’s best-selling music rag; so it was in pop that the battles for supremacy were at their most competitive. 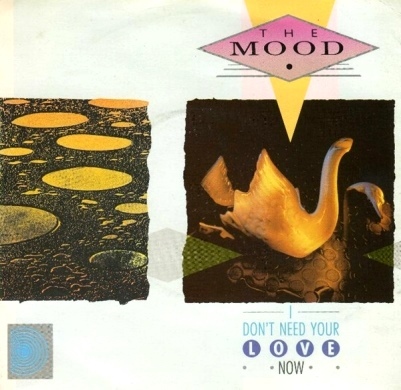 One of those vying for a slice of the action were a young York based trio called THE MOOD. Comprising of John Moore (vocals and guitar), Mark James Fordyce (drums, electronic percussion and synthesizers) and Eric James Logan (synthesizers and piano), they began as a quintet with Steve Carter and John Dalby. Developing a modern pop sound that fitted in with the syncopated 120 BPM rhythm mood of the times, their first single ‘Is There A Reason?’ was released in 1981 on the appropriately named Romantic Records. The band attracted interest from RCA Records and after a deal was inked, a new mix of ‘Is There A Reason?’ was immediately released. 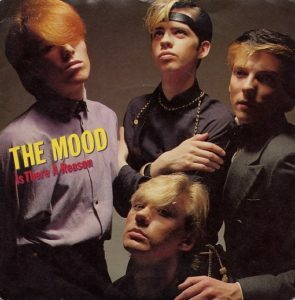 Despite not charting in the UK, it helped position THE MOOD under the New Romantic banner that also included the then up-and-coming bands of the period such as DURAN DURAN, SPANDAU BALLET, B-MOVIE and TALK TALK. Their second single ‘Don’t Stop’ showed significant progress by attaining a Top10 position on the US Billboard Hot100. However, the single stalled at No59 in the UK, despite the band being championed the BBC Radio1’s Peter Powell and appearing on the children’s pop show ‘Razzmatazz’. But THE MOOD’s trajectory was heading in an upward direction. The potential hit breakthrough came with ‘Paris Is One Day Away’ when the band secured a slot on ‘Top Of The Pops’. However, it was the 1982 World Cup and a match heading into extra time meant that a hasty edit was made. And it was THE MOOD’s performance as the new and unknown act that ended up on the cutting room floor! 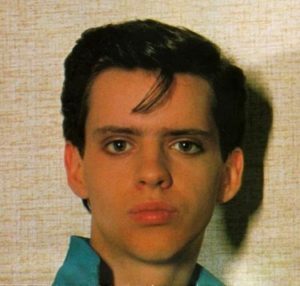 Thanks to the European success of ABC, EURYTHMICS, U2 and SIMPLE MINDS, the pop world had now moved towards blue-eyed soul and more rockier climes to satisfy an emerging Trans-Atlantic market clamouring for British New Wave after the success of MTV. 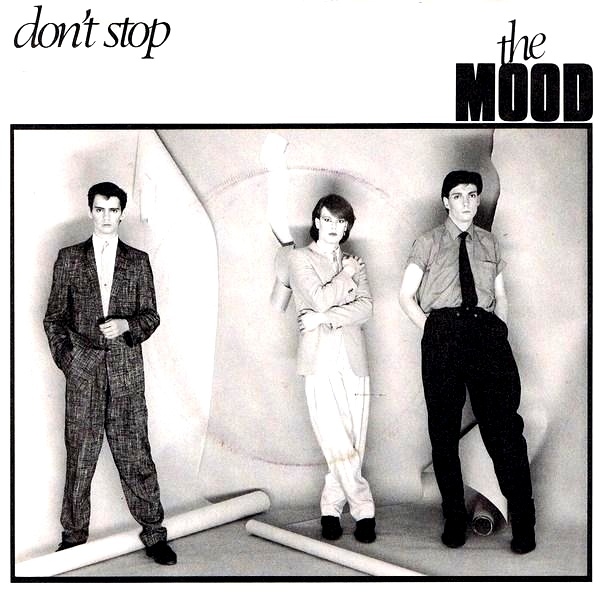 For North American territories, a five track mini-album entitled ‘Passion In Dark Rooms’ came out in 1983, but it failed to capitalise on the interest in ‘Don’t Stop’ from the previous year. A fifth single ‘I Don’t Need Your Love Now’ gained little attention and the band eventually split up in 1985, but John Moore briefly returned as THE MOOD without his two original bandmates, before changing the band moniker to WILD and then disappearing again. 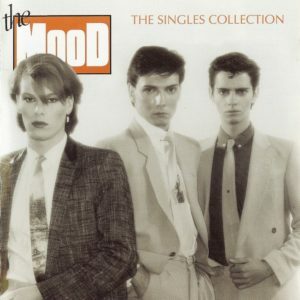 However in 2008, THE MOOD underwent a mini-renaissance when Cherry Red licensed all the bands recordings from Sony/BMG and issued ‘The Singles Collection’ . When you formed THE MOOD, how did you decide upon having a more synth assisted sound? 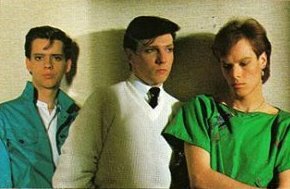 I became intrigued by the sound of synthesizers after hearing TUBEWAY ARMY in 1979 which made me revisit early KRAFTWERK recordings, then quickly leading onto everything from CAN, YELLOW MAGIC ORCHESTRA, TELEX, OMD and of course ROXY MUSIC and DAVID BOWIE. Eric was asked to join because he was the only person we know who had a synthesizer and he was into the same sort of music. Who were the artists that THE MOOD looked up to and were influenced by? 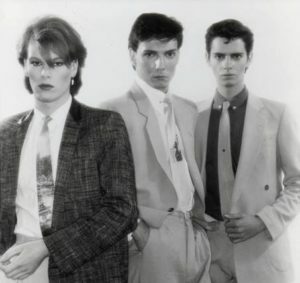 Eric had the David Sylvian look as JAPAN was certainly an influence for him and us all, as well as ROXY MUSIC, whose music and style we were drawn to. When we first went to London, one of the first places we visited was the Antony Price clothes shop because he was the stylist for ROXY MUSIC and Lou Reed, and he was a Yorkshireman. Of course everyone from Steve Strange to DURAN DURAN also had the same idea! Which particular synths did Eric acquire for THE MOOD and what inspired you into using more electronics despite being the drummer? 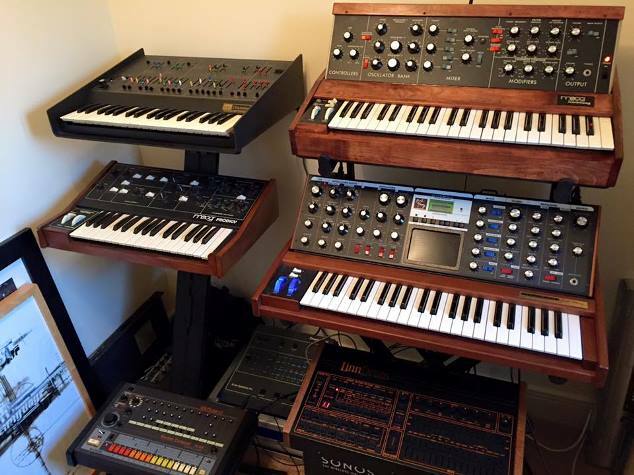 Eric started out with a Korg MS20 and Roland RS-09 string machine, adding a Prophet 5 with our advance from RCA. I had a Syndrum and Pearl Syncussion SY-1 pads right from the start, once we signed to RCA and started recording at SARM East studios, I added a Simmons SDSV full kit, Roland 808, Micromoog and a Roland SH101. ‘Is There A Reason?’ was a very promising debut single. What made you decide that should be your opening gambit? It was always one of the most popular live songs we performed and had a great intro which made it the obvious choice for our first release. We initially released it on our own independent label and got to number 6 on the Sounds music paper dance chart, we re-recorded it when we signed to RCA and it became our first RCA release. It had some great synth runs which we really made the most of on the 12” mix, which is still one of my favourite mixes of ours. Quite a few British acts like A FLOCK OF SEAGULLS and NAKED EYES had more success in the US than the UK. ‘Don’t Stop’ showed promise and appeared to gain a small foothold in America. Why do you think this was the case? I think it was the right sound for the time in the US and took on a life of its own in American discos, predominantly New York clubs. I heard a story which I don’t know is true or not, that the throbbing base line was an influence for BON JOVI’s ‘Living on a Prayer’… sorry about that! We were very lucky that our first producer Anthony Forrest chose to record at SARM East with Gary Langan and Julian Mendelson as engineers. I remember the studio being very busy with SPANDAU BALLET recording with Richard James Burgess and ABC doing ‘The Lexicon Of Love’ with Trevor Horn. It was a great place to witness some of the great recording of the early 80s, I also used to hang around in the evening when Gary and Trevor played around with their new toy the Fairlight computer, those early ideas went onto become THE ART OF NOISE! 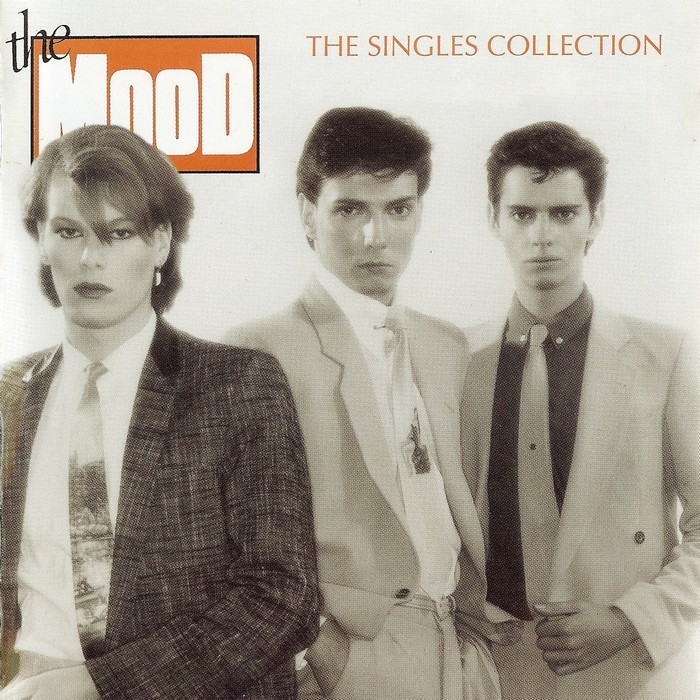 Later through a recommendation from Rusty Egan, we started to record with Steve Levine at Red Bus studios; Steve had just started working with CULTURE CLUB so we had Roy Hay play some guitar parts for us. Yes, we really thought we had arrived when RCA gave us a decent budget to shoot a video in Paris with a beautiful model! We got Tim Pope to produce it who had previously worked with THE CURE on their videos. We also made a video for ‘Passion In Dark Rooms’ in a cave where we got stalk two models this time! You were chosen to appear on ‘Top Of The Pops’ with ‘Paris is One Day Away’ but then fate intervened… what actually happened? When we were in Paris shooting the video we got a call to say we were No42 in the charts had had been chosen for the bubbling under section on ‘Top Of The Pops’. Unfortunately because of the 1982 World Cup, they cut that section for that week’s show, the following week we dropped back down the chart! I remember THOMAS DOLBY then moved up to No42 and got on that week’s bubbling under and a TOTP slot. The next singles ‘Passion in Dark Rooms’ and ‘I Don’t Need Your Love Now’ failed to capture the public’s imagination. I understand THE MOOD weren’t playing live much then. Why do you think you lost momentum? We played quite a lot in the early days, but as we started to spend more time in the studio and became more and more reliant on technology, we took our eye off the live side of things. We also had very weak management at the beginning who failed to take advantage of some of the opportunities we had. For example, we never went to America which was crazy considering the amount of interest we had with ‘Don’t Stop’. We signed to RCA in 1981 on the back of the success we had with our own independent single ‘Is There a Reason’, which we re-recorded for RCA and subsequently became our first major release. We then released ‘Don’t Stop’ which got a lot of Radio 1 and TV support, especially from Peter Powell who we did a live Maida Vale session for. ‘Don’t Stop’ also gained good support on US radio and club plays, resulting in a number 6 Billboard Dance Chart position, which was taken from the radio and club plays, sadly not record sales. The record company really got behind the next release ‘Paris is One Day Away’ with a video and loads of airplay and is probably our biggest track in term of exposure. We then got a bigger recording budget and started recording the remainder of the album with Steve Levine at Red Bus Studios; we recorded five tracks with Steve. Because we were getting a lot of interest in the USA, RCA America decided to put out a mini LP which included some of the Steve Levine recordings as well as the singles ‘Don’t Stop’ and ‘Passion in Dark Rooms’. Was the debut album close to being completed? The album was completed, but RCA decided not to release it in the UK and we were put on the back burner with the label taking a further year to release our final single ‘I Don’t Need Your Love Now’, which we recorded at Rockfield studios in Wales with new producer Paul Cobalt. It was during this time that we split from our old managers and signed a new management deal with Mike Wiand who also managed VICIOUS PINK; I played drums on their single ‘Je T’aime’. We attempted to leave RCA for a new deal with EMI which never came, we then split as a band shortly after in ‘85. When THE MOOD split, why did you personally decide not to continue with another band? After a short break I did get back together with John Moore and formed a band called PLEASURE COMPANY, recording back at Rockfield Studios with THE MOOD’s last producer Paul Cobalt. We signed a production deal with Rockfield alongside T’PAU and had Ronnie Rogers play guitar for us. T’PAU got the deal before us and got early success, we were eventually dropped. Eric formed a band called STRANGLANDS and ended up supporting A-HA on one of their UK tours in the 80s. Many years later in the 90s, I formed an electronic duo called THE GROOVE TWINS with Anton Witter. Although we played several gigs and recorded an album under a recording and publishing deal, the album was never released. I am happy to report that we have recently been remastering the album tracks and intend to release it on iTunes later this year, only 20 odd years late! Cherry Red released a CD collection of all your singles in 2008. How was that received? For a band in that didn’t quite make it position, is there much in it financially? The release was instigated by a fan in the US who was selling a bootleg collection of our tracks on eBay. The reception was quite astonishing! With a lot of online interest which resulted in us doing a few internet radio interviews, with a show in New York dedicating an entire show to THE MOOD! The CD is still doing quite well, selling in the thousands and is on its second run with Cherry Red, so there is a small income which will not change any lives, but is still flattering that people still care about the band. Looking back now, how successful do you think THE MOOD could have become had that ‘Top Of The Pops’ break happened? How would your sound have developed and where would you have sat next to groups like say ENDGAMES, FIAT LUX, FICTION FACTORY or H2O? I think had we had got the TOTP exposure and better management to capitalise on the early US interest, we could have had a career along the lines of THOMAS DOLBY or THE THOMPSON TWINS. Incidentally, we shared the same A&R man as H2O who signed to RCA a year into our deal. Now that you’ve had some distance, which of THE MOOD’s songs stand up for you in the realm of that classic pop era? I still really like ‘Is There a Reason?’, especially the 12”. The same goes with ‘Don’t Stop’ which was quite ground breaking at the time and still stands out as a great synth record today, and was remixed more recently by PRINCE LANGUAGE for his NYC club hit in 2009 ‘Don’t Stop the Macho’. How you look back on it all now? What would you like to have done differently? We should have concentrated and built on the live shows as we were a good live band, which got us the initial attention and a good following in the north. Playing more down south and then taking it to the US would have been a better move. You’ve had a successful post-music biz career and have been collecting vintage synthesizers over the years. What have you got, which are your favourites and which do you still want? Yes, I have been lucky to have a successful Telecoms company which has allowed me to indulge in my midlife crisis of re-collecting some of the synths and drum machines I once owned and ones I wished I had owned at the time. I currently have a Minimoog Model D, Minimoog Voyager, Moog Prodigy, Moog Little Phatty, ARP Odyssey MK 1 in black and gold, DSI Pro 2, Roland TR-808, LinnDrum and EMU Drumulator. Everything is plugged in and ready to play, the Model D is stunning in looks and sound and I love playing it whenever can. Also the Odyssey is beautiful and as new condition, it’s one of the rarest examples you can find. I am still on the lookout for a Prophet 5 in very good condition, then I may take a break. What sort of music are you making now with them and how is that progressing? At some point, I intend to make an electronic synth album recorded as it would have been done in 1981, which I think is the classic year for synthpop. This will be done with THE GROOVE TWINS and the intention is to play all the parts live onto tape with only analogue sequencing where necessary. 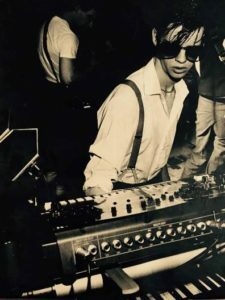 I just like the idea of having to face the limitations of the equipment we faced back in those days, which ultimately drove a generation of electronic musicians to create amazing and beautiful music that has lasted decades.